Few topics have excited the collective electiongeek imagination in the last week or so more than the potential for the hot new game Pokemon Go to be used as a means to generate interest in, and turnout at, the polls in November. The game’s popularity stems in part from the interaction between the physical and digital worlds, which requires players to move about in the “real world” in search of Pokemon characters, who are collected for use in competitions with others. Thus, the notion of gamers being lured to polling places by the prospect of catching a new or rare Pokemon on Election Day is generating lots of buzz online. Alexander Goldman has figured out how to sign up new voters for the coming presidential election: Stand right next to Jigglypuff. Goldman, a St. Paul-based regional organizer for Hillary Clinton, is among campaign workers around the country who are tapping into a powerful new tool: Pokemon Go. The smartphone-based game has sent users out into their neighborhoods to hunt for exotic Pokemon-themed critters. Many of these users, who tend to skew younger, haven’t signed up to vote yet. That’s where Goldman and his fellow political operatives come in. They’re figuring out where Pokemon Go players are congregating and positioning themselves at those physical locations to beef up their voter-registration and vote-by-mail tallies. The Pokemon critter Jigglypuff was recently sighted at Coffman Union on the University of Minnesota’s Twin Cities campus, for instance. Like other Pokemon beasts, it showed up on handset displays as a virtual addition to the real world, and Goldman was right there with it. If he had been standing next to the more-popular Pikachu character, he believes, “I would have probably talked to 70 to 100 people in an hour,” he said. Whatever Pokemon does appear at the polls likely needs to be the same everywhere. The motto for Pokemon is “gotta catch ’em all” – but that could be problematic, as the election system discourages people from traveling to multiple polling places on Election Day. Thus, any character that does appear the polls can’t vary from place to place; otherwise, you could get players hopping from location to location, which makes perfect sense in the game but could raise eyebrows in the election context. Characters need to be close enough to the polls to draw players there but not so close that gamers are playing inside. Polling places often don’t have lots of interior space, meaning that election officials and pollworkers need to be smart about how they use their available “real estate”. Moreover, given the current tenor of the presidential campaign, any lines of voters may not be the most cheerful audience for Pokemon hunters. Thus, the challenge will be to find a place where players can catch the character without interfering with the flow of voters. 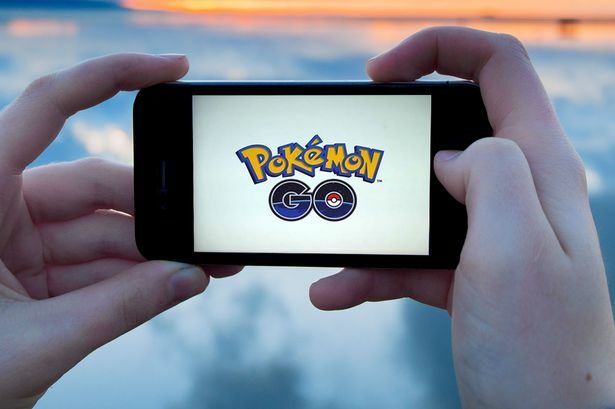 [T]he game’s developer, Niantic, is also said to be researching advertising opportunities within the digital asset – meaning that in addition to seeing Charizard and Lapras projected atop real-world surroundings, the game player could also see signs and slogans for products and services not physically present. In fact, Niantic will soon allow companies to have “sponsored locations” at Poke Stops. And that’s where things get dicey. If commercial ads are on the horizon, could political ads be far behind? Say Hillary Clinton or Donald Trump bought an advertisement at a Poke Stop and put a Lure Module at a polling place to bolster voter turnout. Nearby players would be inclined to go to that location, where they would see an advertisement for a particular candidate. They might even drop in to pull a lever. In the real world, campaign ads at polling places must conform to strict regulations in certain states. But would it be legal in the digital world? It’s not immediately clear. “If a campaign tries to lure people into the polling place where they would see a campaign advertisement, that could be considered electioneering,” says Richard Hasen of the University of California, Irvine School of Law. Former FEC Chairman Michael Toner of Wiley Rein LLP disagreed, saying that personal devices are considered private space, and therefore not subject to electioneering laws. He explains that though “Pokemon Go” lures are mapped to a physical location, the technological world is still considered private space as it is a choice to access the application.Toner adds that campaigns can theoretically use lures as an incentive to get out the vote and reach people who would have otherwise not gone out to the polling place. Campaigns, he says, can use this argument as a societal benefit that outweighs the burden of seeing a paid advertisement in favor of one candidate. Full disclosure: I’m not a player, though I have no problem with the emergence and huge popularity of the game (within reason) – but I do plead guilty to being a bit of a killjoy on its use at the polls. Hopefully, game developers and political organizers can find a way to use the Pokemon Go phenomenon to boost enthusiasm and turnout in November. But if it isn’t done right, it could create problems in a year when the election system will be under tremendous pressure to deliver a voting process that is as smooth, orderly and trust-inducing as it can be. Pokemon Go is a legitimate worldwide craze; but count me in on as little craziness as possible at the polls this fall. 6 Comments on "In Which I Am (a Bit of) a Killjoy About Pokemon Go at the Polls"
Oh really? Now the Pokemon Go will be played at election booths too? This game has created a buzz in social media platforms but now this is something beyond the expectations. This is a very useful blog, I’m glad to find a reliable source of information. Interesting blog. Even if I don’t actually play pokemon go. Thanks for sharing.